I am very pleased that Parables of Care. Creative Responses to Dementia Care, as Told by Carers is now available. The stories were adapted from a group of over 100 case studies available at http://carenshare.city.ac.uk. Research has shown that comics have the potential to have a positive impact on the health and quality of life of people who engage in comics reading and creation, contributing to transform attitudes, awareness and behaviour around illness and contributing to create new opportunities for empowerment and more positive behaviour (Cardiff University 2014). 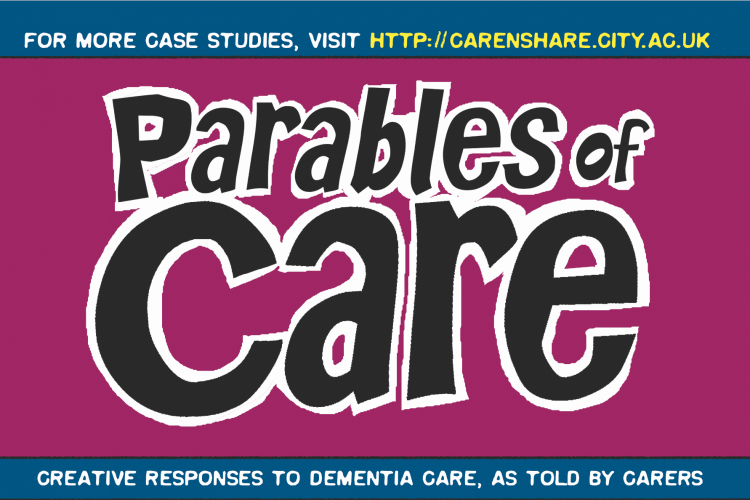 Parables of Care explores the potential of comics to enhance the impact of dementia care research in particular. Parables of Care seeks to make a contribution to enhancing the public impact of the best practices in dementia care resulting from City HCID research by exploring and embracing the communicative affordances of graphic storytelling in general and graphic medicine in specific. 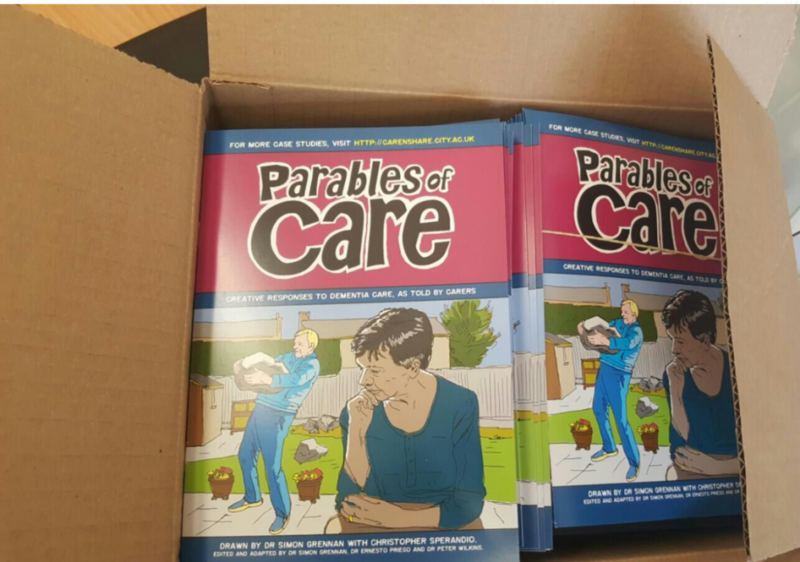 We hope that Parables of Care contributes to enabling stronger links between academia, dementia care practice and comics scholars and practitioners. Stay tuned for news regarding distribution points, events and more information about the project! Parables of Care received funding from the MCSE School Impact Fund, City, University of London 2016-2017. Posted: 10.05.2017 . Posted in: Parables of Care, Project Updates. Tagged: comics, dementia, graphic medicine, graphic narrative, HCID, Impact, mental health, social care. Bookmark the permalink.